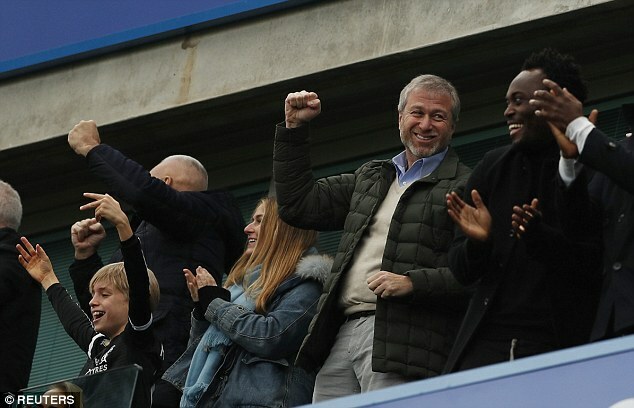 Roman Abramovich will not tempt fate by moving too soon but the Chelsea owner will deliver a new and improved contract for manager Antonio Conte if his team go on to win the Premier League. This would be a fifth title in 13 years for Abramovich. It would also exceed Conte’s brief — a top-four finish — and complete a remarkable debut season that has catapulted him into an elite bracket of European coaches. He is paid £6.5million a year and is only eight months into a three-year deal signed last year. But stories circulating in Italy suggest Inter Milan’s wealthy Chinese owners are prepared to offer nearly twice as much. Jose Mourinho and Pep Guardiola are the top-earning managers in English football, paid around £15m a year, while Arsene Wenger and Jurgen Klopp are in the next tier at £7m to £8m. Conte lags in the pay stakes but he chose a job in the Premier League for the competition, not the money. He rejected an offer of £25m a year to coach in China in order to prove himself in England and is well on the way, with his team nine points clear with only 14 games left to play. 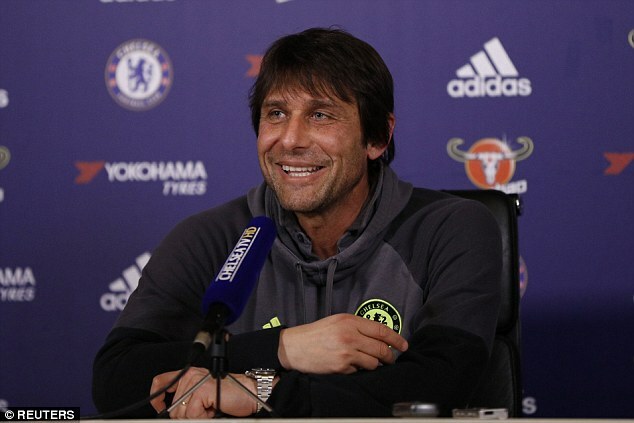 Conte is already committed to a strong summer recruitment drive at Stamford Bridge and next season has the challenge of competing in the Champions League, a trophy he has yet to win as a coach. Chelsea are at Burnley on Sunday, a testing fixture against a side with very strong home form and, after giving his players two days off, Conte has warned them against complacency. ‘I always like to keep the right level of tension in my players,’ he said on Friday. Conte’s man-management and tactical talents are unquestionably behind the transformation of a team who finished 10th last season and started this campaign in similarly underwhelming fashion. Conte has the chance on Sunday to get a first-hand view of a potential summer transfer target, Michael Keane. 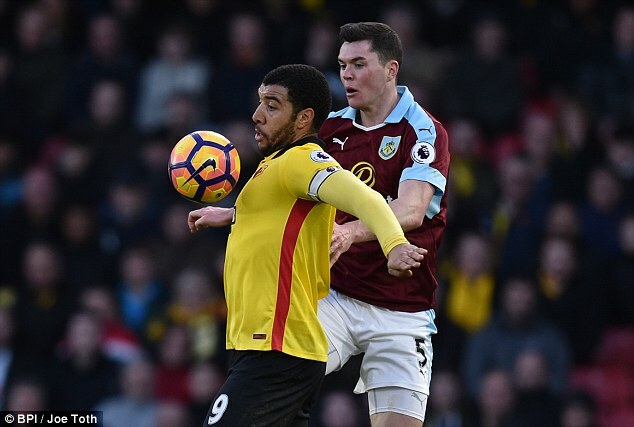 The Burnley defender will have only 12 months left on his contract come July, having rejected the offer of fresh terms. Burnley are resigned to losing the 24-year-old but are expected to push for a £20million fee.